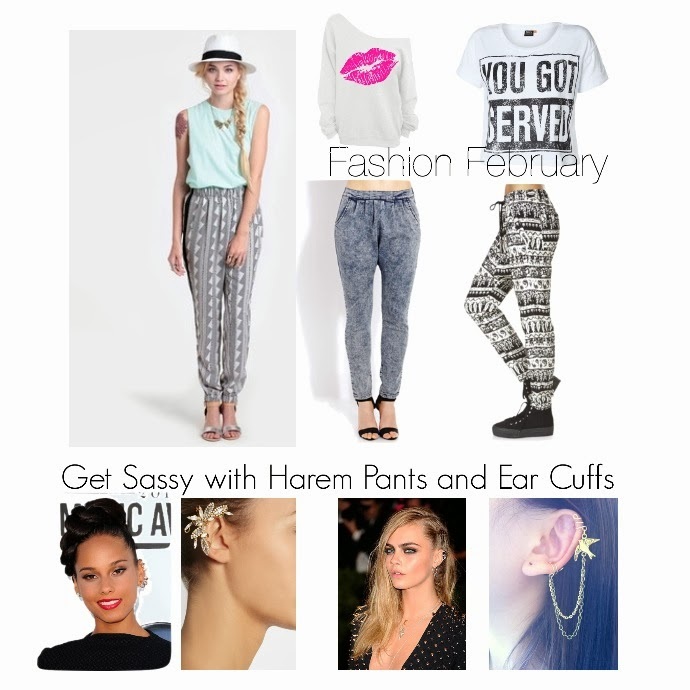 Fashion February Week 2: The Harem Pants and Ear Cuff Fashion Statements! 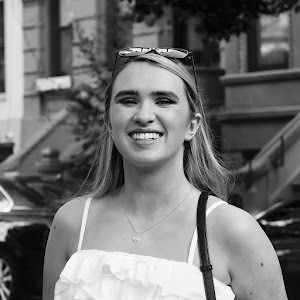 Today I'm back with my second post of Fashion February! Woo hoo! If you'd like to see the first post of the series, then click here. And for a list of the participants scroll down and click on the picture. This week we were asked to style harem/hammer pants. At first, I had no idea what harem pants were (shows how much I know about fashion :/) but when I googled them (oh wow) I recognised them. We also had to discuss ear cuffs as an accessory (and maybe style the two items together, which I did!). As for them, my ears are not pierced so I have never even wore an earring before, let alone an ear cuff! So researching and observing was quite the adventure. Do you like/dislike the item? They are quite tricky to style, and in my opinion look really odd and quite similar to pyjamas, but when it's done right they look super flattering on some body types. They sometimes add boho chic to a look or a chilled Cali vibe. I don't own any, as sometimes, as I said, I think they look like PJs, but the pairs I have featured above don't, I believe. I think the picture above sums it up; if they're heavily patterned, then a simple top with maybe one graphic to keep it exciting (but no pattern) would do the trick. If the pants are one colour, let the top do the talking. If you had to buy it, where would you purchase it? I was browsing their pants sections and they have some pretty cool designs. However, I don't think they would suit me, so I wouldn't buy them. They would make such a classy accessory with harem pants, creating a fashionable combination of rocker and bohemian. I love the appearance of ear cuffs; on Alicia and Cara in the photos above they look specifically edgy and in vogue. If I could wear them, I would. 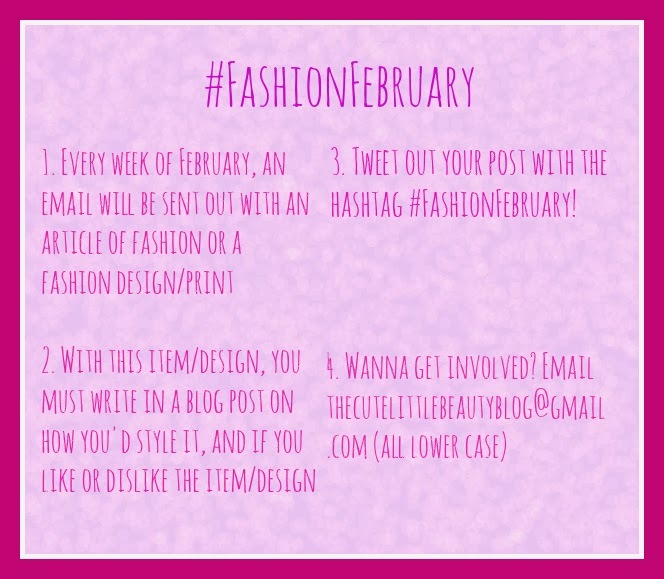 Click below for the list of all the other participants in Fashion February! hammer pants and ear cuffs! Love these outfits! And I agree- Forever 21 has such a lovely wide range of harem pants!